I continue adding BT city mugs found in stores. 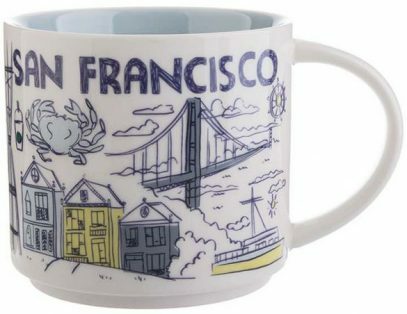 Starbucks Been There San Francisco mug is one of the latest finds. As you can see, Golden Gate Bridge is obviously on the front. What else? Let me add all sides of the mug and review it.